Four days have past without me working with straw, mud, or render. My clothes and shoes are clean again and I get my physical workout through my normal fitness routine. What has changed? I feel a different connection to buildings now. I walk past at least one construction side every day and I look at it differently: what materials do they use? What does the frame look like? What about the walls? I even caught myself short of lecturing my son’s teacher when she told me about a building project. I never would have thought that four days of building someone else’s house would have such an impact on my thinking. It’s been a rewarding experience and I hope I can sustain my enthusiasm for building a house for years to come. Firstly, what a building workshop with volunteers involves. Secondly, if straw bales are a potential building material for me. The obvious question here is: what does people motivate to pay money to build someone else’s house? I had to answer this question for myself as well. Why do I pay money for getting dirty and tired each day? 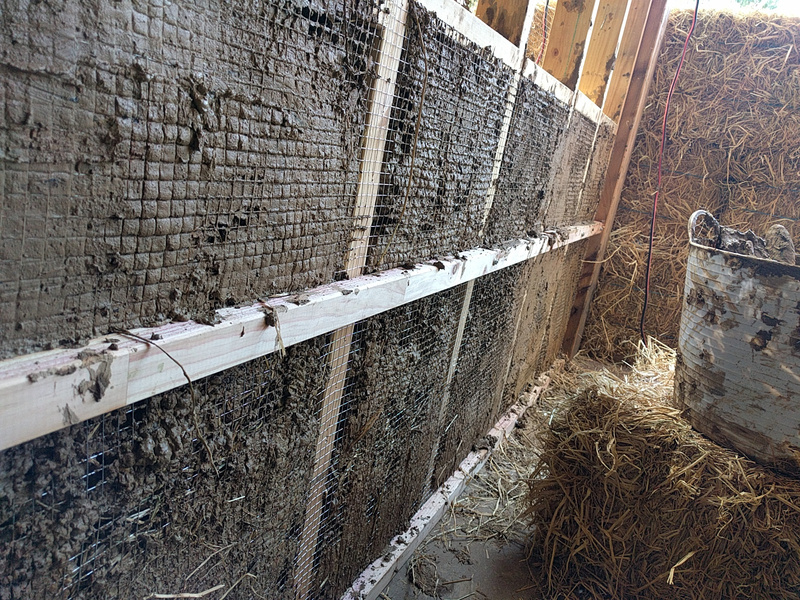 Now that the workshop is over my answer remains the same: the workshop gave me the opportunity to learn hands-on what building with straw and mud is. I can do all the research at my desk but having seen and done the work gives me a different understanding of the material. Participating in a building workshop is also different from helping out friends. The builders at the workshop were experienced instructors who were keen on sharing their skills and discussing techniques. There was no secrecy about the build. As volunteers we always had the opportunity to ask questions. We had daily briefings and guests: the architect of the house came, the plumber was there, the carpenter, the electrician, and the owner. 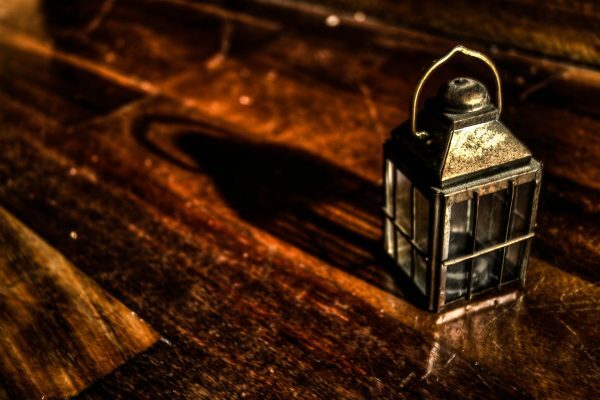 Throughout the duration of the workshop no one ever created any potential stress factors. All these little factors resulted in a very communal atmosphere at the building side. We joked around as much as we helped each other. Thinking ahead for our future build I wonder how this good vibe can be sustained for a long period of time. The straw bale workshop now was only dour days long. There are workshops of one to two weeks. I wonder how much thought and planning must go into motivating people to work productively and have fun for that amount of time. There will come a time when I will be on the receiving side again. And one day I will be the host. Whenever I told people I was going to do a straw bale workshop I heard referrals to the story of the three little pigs. The bad wolf came and blew down the house of straw first. I’ll be honest, on day one and two of the workshop this story kept popping back into my head. We stacked up the straw bales on these days which formed the outside walls. We were able to push and pull the bales and walls around quite a bit – some with body weight alone, some needed a large hammer. The walls didn’t look very stable to me at all. I was waiting for the wolf to come to blow it all down. On day three however I learned what the little pig in its house of straw had forgotten: render. 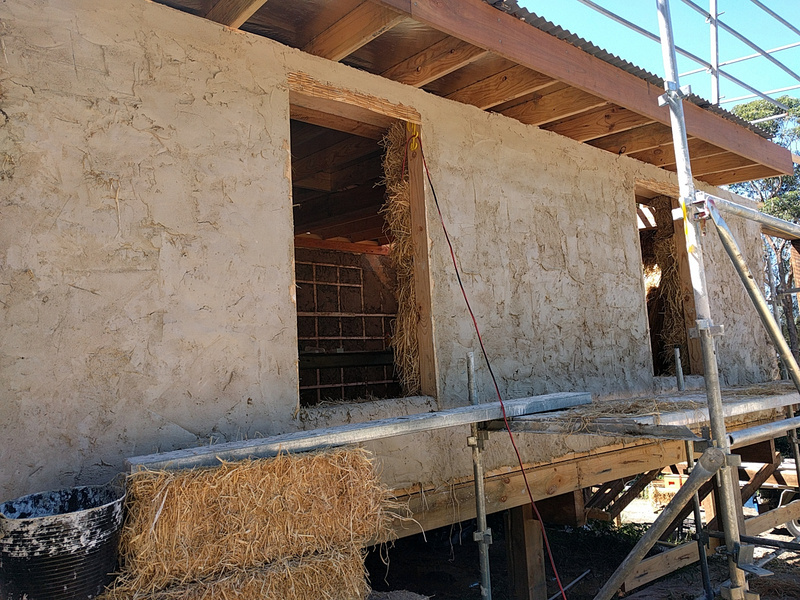 We learned that each square meter of straw wall will be covered with approximately 45 kg of render in the end, inside and outside. Without doing the exact maths: that’s a lot of weight. The bad wolf would have to do a lot of huffing and puffing to move that. The other experience I had was that I felt how insulating straw can be. When I carried a bale or when I leaned on one I felt my body temperature being reflected. I didn’t even need to think about how long straw has been used as building and insulation material. I could feel it right there and then. It reassured me that this house is going to be warm. There are, of course, a number of factors to consider when building with straw. The robustness and the insulation stuck out for me this time. If someone asks me now if I would I build with straw my answer can only be: YES! I highly recommend this type of workshop to anyone interested in natural building materials. It is a very rewarding and interesting experience. There is only so much you can research and study; first hand experience remains the best teacher. And if you find a group of people who share your passion for sustainable buildings – that’s just gold! 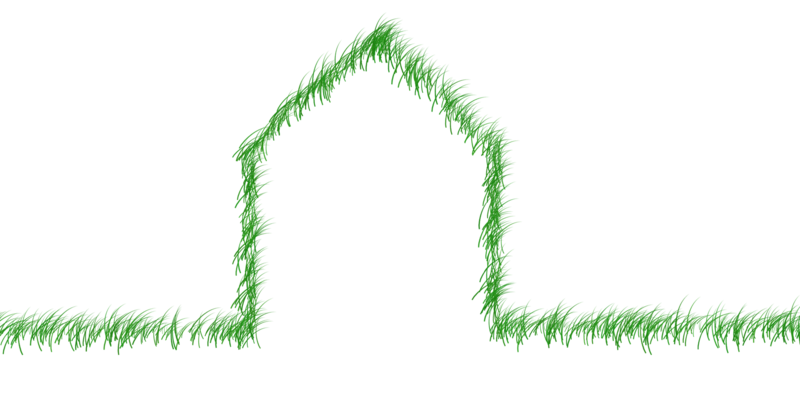 I will add more resources for straw bale and other construction methods over time to my side. Next article Is sugar bad?